Using a hose to water your lawn isn't just time consuming - it's wasteful! 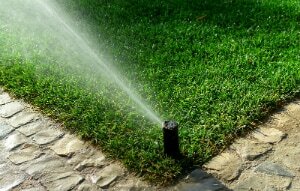 Get an even watering for your lawn and garden with professional sprinkler and drip irrigation system installations and repairs from Safari. Call now. Have you got a hole in your system? Is water not properly flowing through entire sprinkler system? Let our repair specialists get your system working smoothly in no time. Contact Safari Lawns for all your Sprinkler System Needs. Call Safari Lawn Care for all your sprinkler needs form Blowouts, repair to full installations. Our experienced lawn care technichians are always glad to answer your questions and get you taken core of. We look forward to helping you with your next landscaping project!